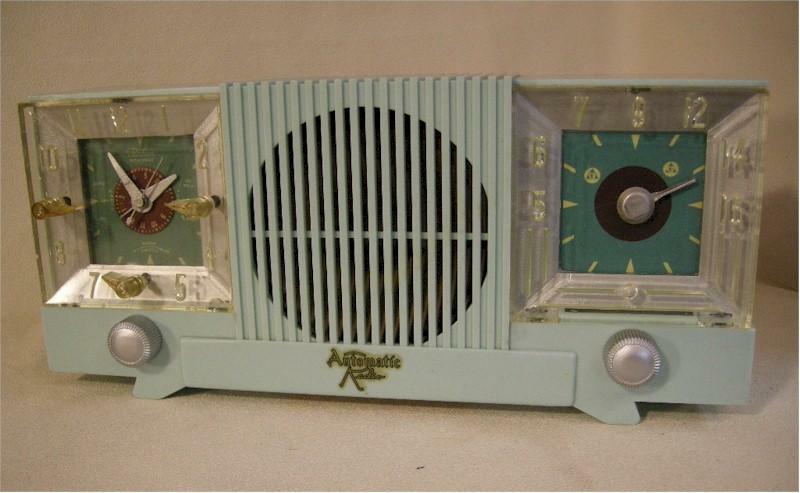 To see more of this seller's radios, visit Bill Skaggs' Attic. This is a very nice Automatic clock/radio. Mid Century Modern in a beautiful robin's egg blue. Both the radio and the clock work as designed. The radio has been restored by me and works like new, and the clock has been cleaned and all its functions work like they should. The cabinet has no cracks, chips or breaks and has been cleaned and polished and looks great. There are a few very minor scratches on the clear covers and the back was missing, so I made a replacement for safety. It comes with my usual 30 day unconditional warranty. You are visitor number 2,347 to this page.